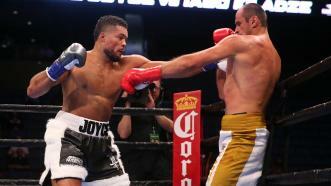 Heavyweight prospect Joe Joyce defeated Iago Kiladze via 5th-round knockout. 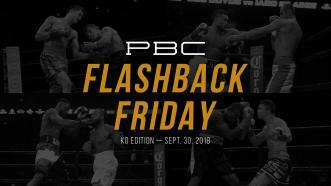 Our PBC on FS1 show on September 30, 2018 was PACKED with plenty of nonstop action, including four HUGE knockouts by Efe Ajagba over Nick Jones, Joey Spencer over Cory Macon, Joy Joyce over Iago Kiladze and Brandon Figueroa over Oscar Escandon. This video takes a look back at those big KOs. In this episode of PBC Jabs, we recap our September 30th FS1 show. And, in case you missed it, Wilder-Fury is set for December 1st, and we have all the details. 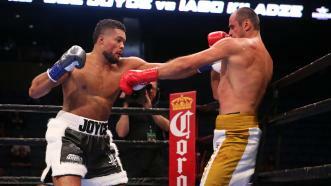 Heavyweight prospect Joe Joyce defeats Iago Kiladze via fifth-round knockout on September 30, 2018, live on PBC on FS1. Joyce's record improves to 6-0, 6 KOs.